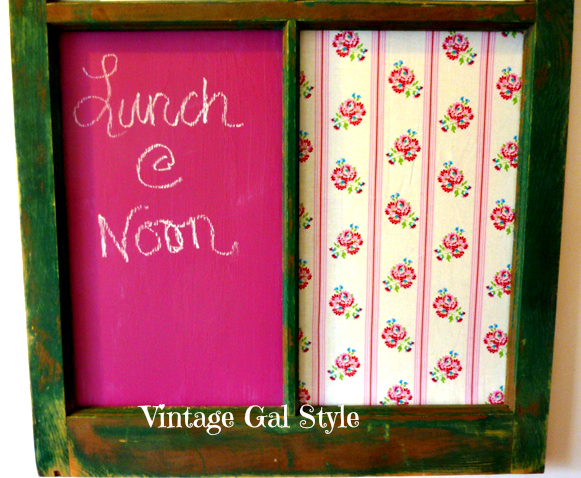 Hi I’m Lynnie and I'm here as a guest poster today from Vintage Gal Style. My girlfriend in New Hampshire found this old window on the side of the road and asked me if I was interested...well I was, so home it came over 700 miles. Here are the supplies I used to convert the disgarded window to a social center in our cottage home. I cut down a corkboard to use in one pane and particle board for another. My dear hubby replaced a glass pane and recocked. After my corkboard was ready, I simply cut a piece of fabric and stapled it to the back then tacked it in place inside the missing pane. Next I painted the particle board with a paint gripper and chalkboard paint, which ended up being more tricky than expected as it was very thick. Then it was tacked in place. 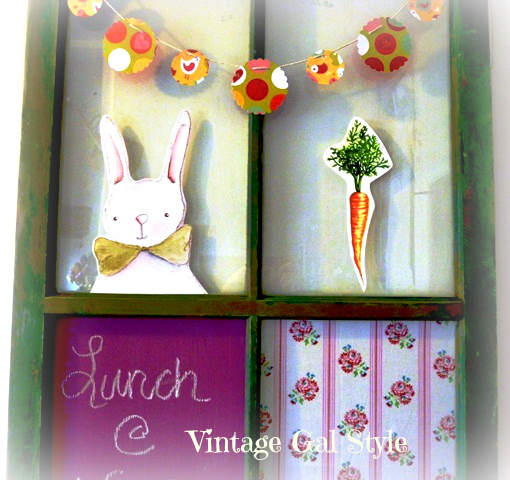 To dress it up and use it as a seasonal display, I added a paper punch banner and Easter images. I used a glue that can be easily removed when I want to change out the images. Now we have a central Social Center where we all know what is happening! I think it could use a window sil don't you... oh dear hubby? I had everything but the chalk board paint and Gripper so it was very budget friendly. My inspiration for this came from my Jar Queen Pinterest Board. 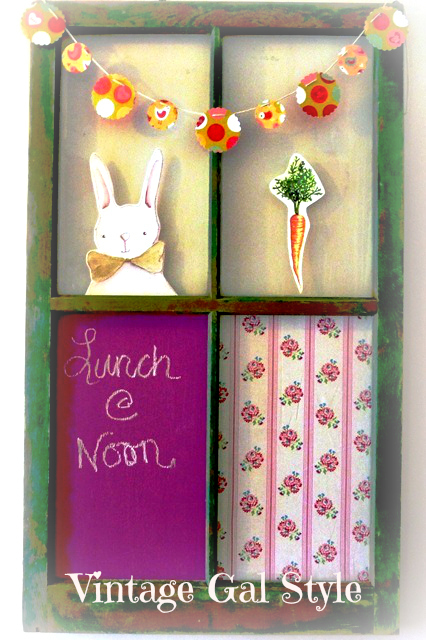 this is something i need to do--adorable, lynnie! tfs! Hi this nice post. Thanks for provide the helpful information. Love this!! Great feature and thanks for the inspiration. 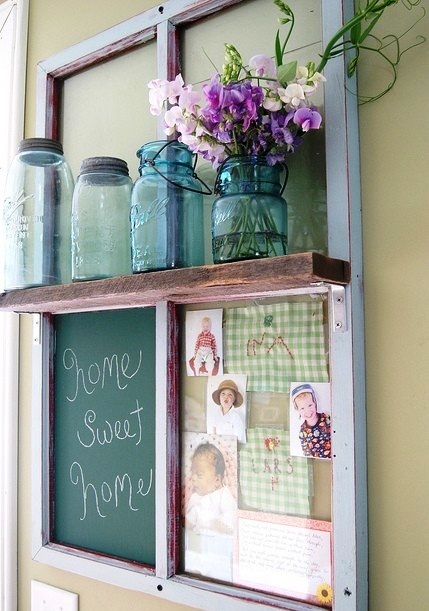 I love this idea, and I think I will add a shelf if I can find a great window like this one. 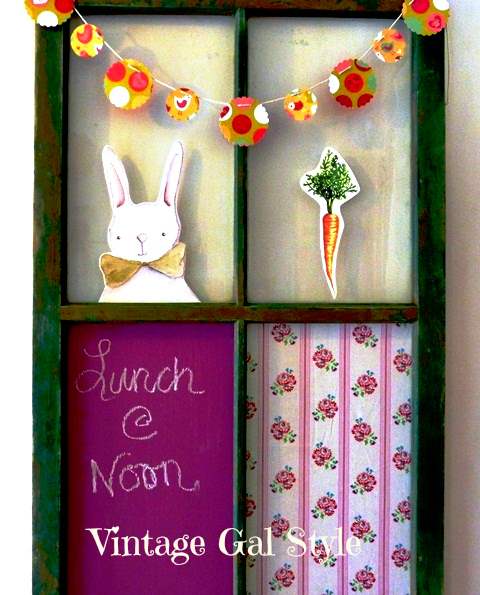 From an old window to a chalkboard? Wow! It’s a great idea for redecorating your home, especially if you’re on a tight budget. You just got to have a good combination of playful and artistic mind, and old window sills to create a fantastic display.